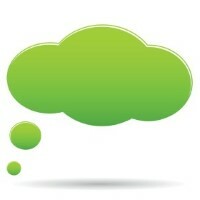 Blog Hosting enables you to take full control of the content you create. Benefits include being able to attract and accommodate many more visitors to your blog, while using your own domain name. Read on for a rundown of the best Blog Hosting sites, and choose the perfect plan from our handpicked list of the best Blog Hosting providers. Millions of people download blogging or CMS software such as WordPress, only to get stuck at the so called '5-minute installation'. Fortunately, there are special Blog Hosting plans featuring one-click install of whichever blogging platform you choose. Read on for our comparison of various platforms which should help you select the one most suitable for your needs. With one-click installation, the whole process of getting your blog online is brilliantly simple, and handled directly within your Blog Hosting control panel. Often, you only need to define your blog's name in order to get started, and let the Blog Hosting provider take care of the rest. This is a vast improvement on how it used to be, when to create a professional-looking blog you needed to edit code, PHP files and database settings. My blog is already online, why do I need Blog Hosting? You might have the option to pay extra for your own domain name (www.yourblogname.com), but you may also be limited in terms of functionality, themes, customer support, the number of visitors you can receive, the amount of storage space you can use and the measures you can take to increase your site's traffic. Additionally, you may not even legally own the content you create on the site. By contrast, self-hosting your blog gives you full control and ownership of your content with a specialized web hosting service, enabling you to attract and accommodate many more visitors to your blog and use your own domain name. With Blog Hosting starting at just a couple of dollars per month, usually including a free domain name, there is little reason not to self-host from day one. Open-source WordPress is the most popular blogging platform and content management system (CMS), and currently powers over a quarter of the world's websites. Read more about creating and hosting a WordPress site here. Joomla is a highly popular free and open-source CMS, and estimated to be second in popularity only to WordPress. Famous Joomla blogs and websites include Harvard University and Linux.com. Learn more about Joomla Hosting. One of the most comprehensive CMS systems available, Drupal appeals to web developers looking for maximum functionality. Visit our Drupal Hosting page to find out more. These blogging platforms do not appear in lists of one-click installers but are worth mentioning anyway as they offer strong alternatives to the big three above. Blogger, AKA Blogspot, is Google's offering to the Blog Hosting world. You can set up a blog for free using the blogspot.com domain or purchase a domain separately and connect it up manually. Bandwidth – Very popular blogs require more bandwidth than most. Find out how much bandwidth you are entitled to, and what happens if exceed your limit. The Blog Hosting plans listed above all come with enough bandwidth for a new blog, but if you expect high amounts of traffic from day one, consider Virtual Private Server (VPS) Hosting or a Dedicated Server plan. Reliability – Even the best servers experience downtime (the term for when a server goes offline, rendering the websites hosted on it unavailable) occasionally. Look for a Blog Hosting service that has consistent 99.9% uptime. You can check uptime statistics on many of our review pages – just click 'Read reviews' on one of the hosting plans up top. One-click installer - All of the plans in our list offer one-click installers for WordPress, but if you are planning to use a different blog service it is worth checking in advance that your hosting provider can accommodate it. Technical Support - If something goes wrong with your Blog Hosting, it's good to know that your provider has got you covered. Reviews are the best way to find the best customer service - look for ones hosts with knowledgeable, friendly and helpful support staff, ideally available 24/7. Is Blog Hosting right for me? Blog Hosting is cheap and simple, but it does not provide enough to meet everyone's needs. If your site is likely to receive a high volume of visitors on a regular basis, or if you are using a lot of resource-intensive plug-ins, a Virtual Private Server (VPS) Hosting or Dedicated Server plan would probably be more suitable. However, if you are looking for a specialized hosting service that values its blogging customers, the plans at the top of the page are an excellent place to start. 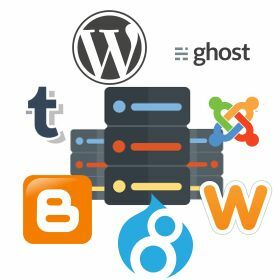 Blog Hosting provides you with everything you need to self-host your blog and give it that professional edge, and time-saving benefits of the simple one-click installers cannot be understated. Get your Blog Hosting plan today!